LiteCure is committed to furthering the understanding of photobiomodulation through research collaborations, clinical and preclinical studies, sponsorship of research institutions, and education. If you would like to inquire about sponsorship of your research project please contact us. Educating professionals in the principles and practical application of canine physical rehabilitation. Promoting and supporting research that will advance the knowledge, skill and treatment of canine physical rehabilitation. Making the benefits of canine physical rehabilitation known to the fields of veterinary medicine, physical therapy and other related professions. LiteCure’s corporate office is located less than 5 miles from the main campus for the University of Delaware. LiteCure collaborates with the Physical Therapy Program to help educate the physical therapy students, and supports the university by providing guest lectures. LiteCure has also been involved in helping to make laser therapy a core part of the classroom and clinical educational experience at the University of Delaware. 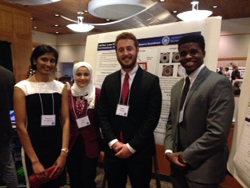 LiteCure is also proud to support projects in the university’s engineering, business, and research programs. Companion Animal Health proudly co-sponsors Colorado State’s Small Animal Residency in Sports Medicine and Rehabilitation. Residents in the 3-year program will conduct research, complete clinical assignments, and teach. Companion is proud to support this unique educational opportunity and hopes through these on-going educational programs to help foster Small Animal Sports Medicine Rehabilitation programs. Companion Animal Health proudly sponsors the Companion Therapy Zoological Medicine Specialty Internship at the University of Georgia College of Veterinary Medicine. This year-long veterinary internship is supervised by two board-certified veterinarians and is primarily involved in all aspects of wildlife medicine, including physical exams, diagnostic sample collection, radiography, anesthesia, surgery, medical treatment, necropsy, husbandry, record maintenance, telephone consultations and presentations at rounds. LiteCure has a Cooperative Research and Development Agreement (CRADA) with the Uniformed Services University of the Health Sciences. This CRADA supports basic photobiomodulation research. Several studies have been published as a result of this agreement including In vitro and in vivo optimization of infrared laser treatment for injured peripheral nerves. LiteCure proudly sponsored The Optical Society’s second Photobiomodulation incubator. This Incubator was focused on the discussion and dissemination of scientifically sound research in the field of Photobiomodulation (PBM) also known as low-light-level therapy. The Incubator meeting brough together a broad group of highly qualified individuals working in the area of laser and light-based medical research and therapeutic devices to discuss the future of PBM in health. A key aim of the meeting was to articulate a common mission for PBM research and applications. Topics addressed were techniques and applications of low-light-level therapy, including therapeutic devices and applications, used to stimulate cellular function leading to beneficial clinical effects. Equally important was interaction with experts in medical technology adoption and translational medicine, along with discussions about the FDA assessment process, barriers to publication of PBM research, and other related topics. LiteCure is proud to be partnering with Oklahoma State University to establish tissue penetration measurements. 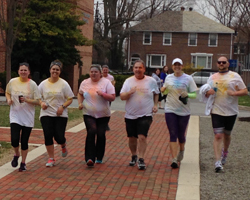 LiteCure is proud to support Widener’s Physical Therapy program with guest lectures and also participates in sponsorship of university activities like the Widener Color Run.